An exploration of the road route from Santiago to Ushuaia and the furthest point south one can drive in South America. This trip commenced at the end of our Dakar experience, which ended in Santiago, before we could leave we needed to service and clean the 100 series which was to take us south. 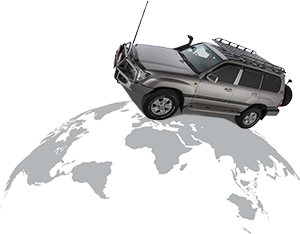 Leaving the 80 series in the hotel car park until our return.. A local service station, did an oil change, and replaced the air cleaner element. The local Bridgestone tyre dealer changed our tyres around and rotated one on the rim, as some wear was starting to show. Once all this was completed Greg and I emptied both trucks and repacked only that gear which was required for our trip south. The morning of January 23rd was another fine day, and after saying our goodbyes to Kerry, Sue and Neil , we headed for the motorway and the road to Mendoza Argentina. Our lack of Spanish was to let us done this day. As we headed into the mountains and the last fuel stop in Chile, on refuelling the attendant told us that the pass / road was only open from Chile to Argentina from 8pm in the evening to 8am in the morning, with opposing traffic from Argentina during the day, due to road works being undertaken on the road. We ended up parked under a tree at the back of the gas station for the day, doing notes and catching up, as 8pm approached we cooked ourselves a meal from out of the Land Cruiser as it looked like it could be a long night. 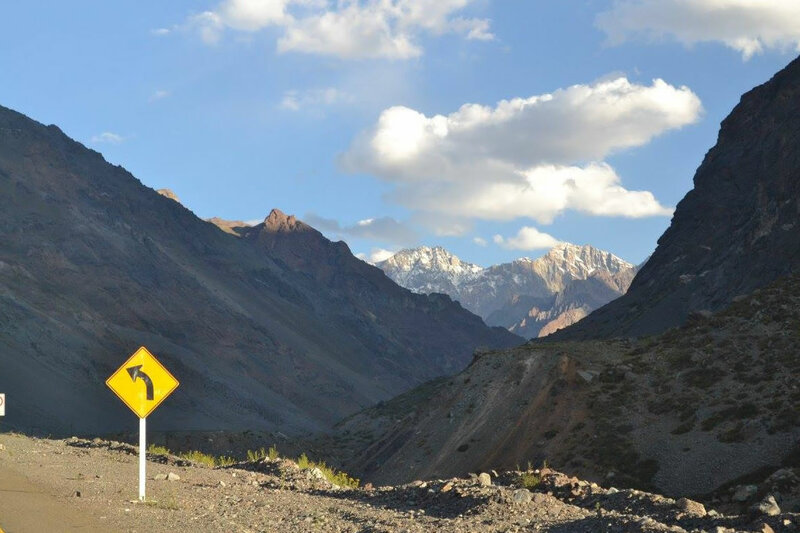 At 7.40 the queue of cars and buses started moving up the road towards the 3300m pass and entry to the tunnel leading to Argentina. The international boarder is in the centre of the tunnel, it was through the tunnel to a check point and then another 20km down the road to the Border post, arriving just before midnight. Due to the volume of traffic it was another hour before we entered the building to be processed first by Chile, and then in the next cubical our entry to Argentina. This was all over in record time and we headed for Mendoza arriving in the early hours of the morning. The city was alive as we drove through it heading for our hotel and bed..
After breakfast we left Mendoza for the open road and Ruta 40 and a small town in the distance called Choas Mahal. Just south of Pareditas we stopped at the sign post which indicated that Ex Ruta 40 was straight ahead while the main road headed out to the left. After a short break and a couple of photo’s we headed down Ruta 40, a gravel road, which was straight for long distances at a time, with a break almost in the middle at a very large lake, dammed at the lower end, The road crossed over the dam, and gave us a view of the house boats moored along the lakes edge. We then stopped at Marlargue a small town for vehicle fuel and also lunch for Greg and myself. Then it was on to Barrancas, a point on the map before our last leg to Choas Mahal. Our GPS plot lead us into town via the back door, gravel and dirt roads before we found our hotel for the night. Checked in and freshened up before, driving into the town centre for a dinner of Steak and mushrooms, along with chips before calling it a day. Choas Mahal is a centre for trips to local hot springs and the nearby mountains. The day dawned fine and pleasant with breakfast in the hotel, before packing the cruiser and heading into town to find a bank to obtain some local Argentinian money. The bank was open but would not exchange currency, the local policeman on duty at the bank suggested where I could do so and gave directions, ( this turned out to be the local casino) so with a favourable exchange rate I had a handful of Pesos, and we headed out of town and the long haul to Conaripe, Chile. The drive was through desert country side on a good tarseal roads for the most part. Stopping at Las Lajas the last town before we heading to the boarder, on stopping at the gas station we discover it was out of Fuel, did the maths and agreed we had sufficient to get us through the boarder and to the next major town in Chile. We decided an early lunch at the San Pedro restaurant was in order, after which we visited the local Tourist information centre before hitting the road for the one hour trip to the border control It was a very pleasant drive up into the mountains as we climbed towards the border control, Argentina was done and dusted in 15 minutes and we moved forward into no-mans land heading for the Chilean border control. Climbed over a saddle, stopping for a couple of photo’s before heading down the mountain. First we found a new, but not open boarder control building, then after what seemed age’s we arrived at the Chilean control. Completed our paper work and customs, then it was out of the control and hard left onto a gravel road as we headed for Vallarrica a resort town which looks down over Lago Vallirica with a volcano in the back ground. Refueled and then headed to the little resort town of Conaripe and Hotel Elizabeth our home for the next two nights. January 26th 2013 our fourth day and a day of rest as we would be sleeping in the same bed for a second night in a row. Having visited the Tourist Information centre the night before and learnt that the road we wanted to take to Porto Fuy was closed, and the alternative was longer, we decided to drive the route and explore the surrounding country side at the same time. With breakfast out of the way, we headed for Liquine our first stop of the day, and very close to a border control. Greg had a look at the local resort as a possible stop / rest location for future trips. Before we headed towards the ferry terminal. The road intersection indicated 31km, and as we headed up hill it turned into a single lane track, complete with bridges (holes extra) as we climbed around the mountain side and over a high saddle before heading down into the valley. Progress was slow due to the rough nature of the road, great scenery coming down off the saddle and along the side of a mountain lake. Hitting the cross roads we turned left heading for the ferry terminal, past the small town of Neltume and other interesting buldings / hotels and gateways before arriving at the small township of Puerto Fuy and the ferry terminal ( a new building and ramp) and the ferry loading. We stayed and watched it load and head away on its 1.0pm departure, visited the booking office to confirm our reservation for the next morning before heading along to inspect the local hotel on the foreshore. This turned on to take longer than expected as we end up having lunch with the Hotel Manager, a beautiful building on the inside, with a great feeling. We finally left to go back to Conaripe, stopping on the way at the Meuso Volcano, a completely unexpected surprise in the middle of nowhere. Before we visited Badhab hotel and spar which is build like an upside down cone, the top floors of which have a view out to the mountains in the distance. It was back to Conaripe via the tarseal roads once on them, with a refuel stop at Lican Ray on the way. Up early as we had a boat to catch at 7.00pm, so it was a 4am wake-up, pack the truck and on the way by 5pm.Having the driven the road the day before and being so early with no other traffic made good time through rough gravel road to arrive at the ferry terminal with time to spare. Parked in the queue, not many on this sailing as there was an artic unit along with a flat-deck truck carrying what looked like insulated building panels. The ferry trip up the Lago Pinhueco left on time at 8.0 am with 8 cars and the two trucks, only a little ferry, with small passenger accommodation and access to the bridge and bridge wings for great views as one travelled the Lagp Pinhueco. Our arrival at the other end, was to a new terminal building which was not even completed, directed off the ferry, we continued up the valley heading for the boarder control. This was closer than expected, pasted through the Chilean control and then headed up into no-mans land, the road pasted through bush covered slopes as it climbed to a small saddle, where Chile is building a new border control building, before passing over the saddle and down hill to the Argentinean boarder control. 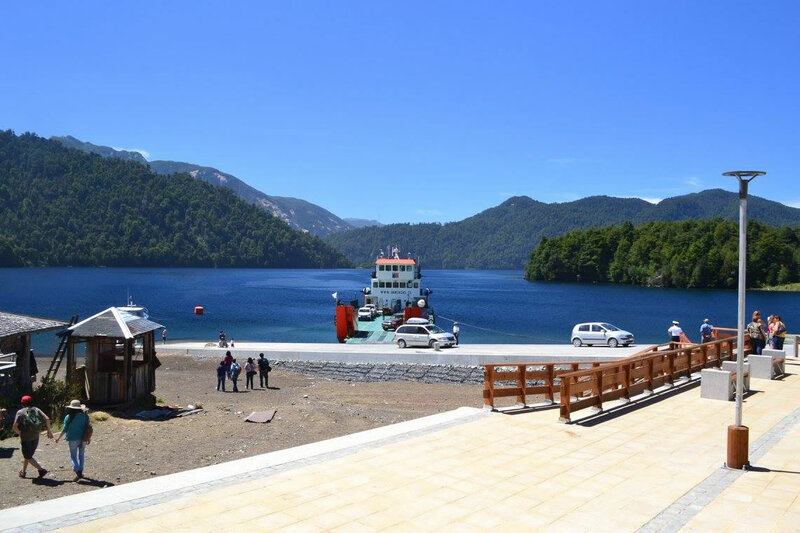 Once through we headed for Bariloche passing through Pargue Nacional Nahue Haup along the way and picking up lunch at San Maria-N de Los Andes a small resort town at the end of Lago Lacar a reasonable sized lake. 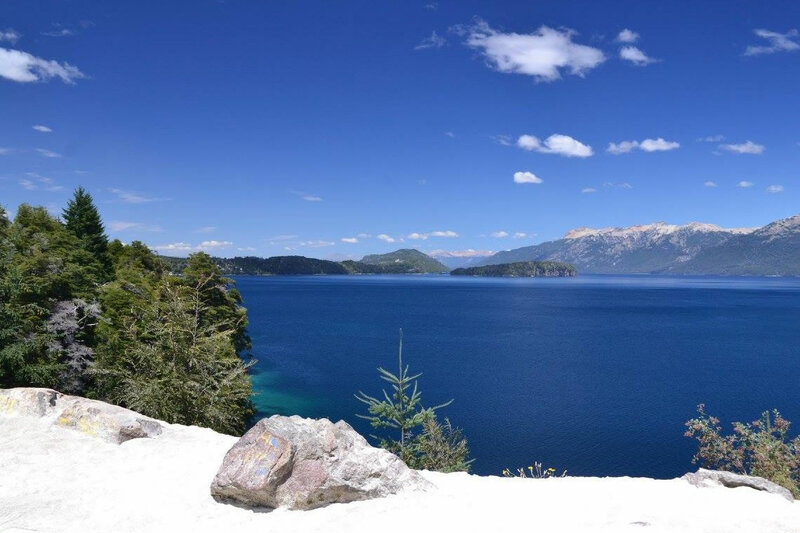 Bariloche a ski resort town set on the shores of Lago Nahuel Haupe, is a centre for skiing in the winter and trekking during the summer. Arriving late in the afternoon, we checked into our hotel, with time to spare for a walk to the main square, visit the tourist information centre and have a general wander around, before dinner in a local restaurant. Bariloche was a two night stop, , so arranged new business cards for Greg, found a shoe repair shop, and also 4×4 centre as we needed light bulbs for the Land Cruise. Then is was first stop out of town at the chair lift, for the trip to the top for the scenic views over the lake and the mountains around. Back at ground level we continued our drive around the lake shore, doing a loop before coming back into town. Last stop at the funicular which climbs a hill over looking the city and surrounding area’s to a revolving restaurant. Had lunch while watching the view as we rotated around. Early breakfast, loaded the cruiser and headed out of Bariloche bound for Futaleufu, the map indicated that we had tarseal to start with and gravel roads for the last section as we crossed the boarder once again into Chile. Our first major town on the way was El Bolson and 80 km beyond that we found the Museo Leleque, which is a showcase of history for the area, and was also the scenario for the last skirmish between the national troops and the remaining groups of Tehuelche (aborigines) having offense weapons (spears in 1888). In also has a period general store from which we purchased lunch, before heading to Esquel a small town from which the Patagonia Express runs, no fixed time table. After Esquel we had gravel all the way to the boarder which was up inthe mountains, Once our paper work was processed we headed the short distance to Futaleufu. And as it was still daylight we walked to the town square and also down to the small lake at the head of the town. 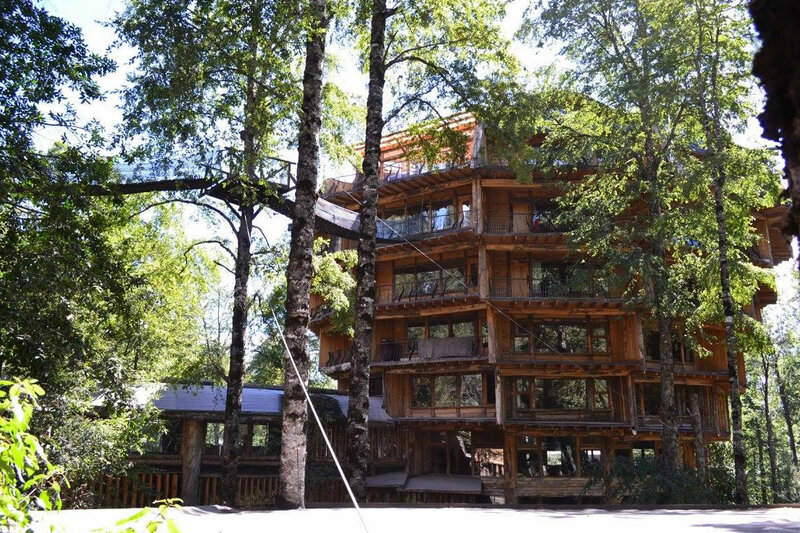 Leaving Futaleufu, still on gravel roads through mountain valleys and passes we headed for Coihaique, The roads took us through Parque Nacional Corcovado, past Pio Puyuguapi a very small settlement founded by a group of germans back in 1935, which is on a sound leading to the open sea. 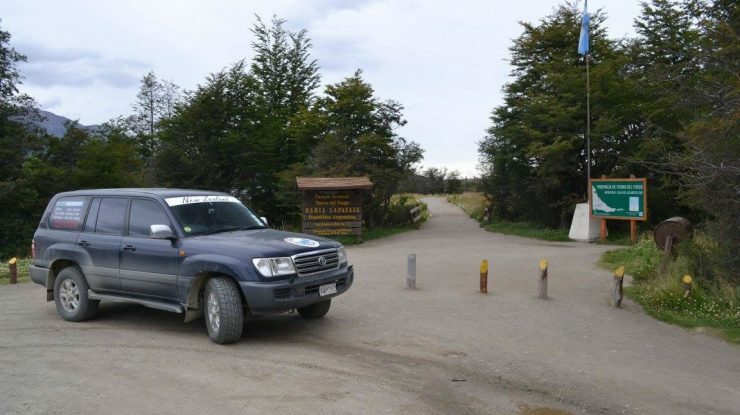 Then past Parque Nacional Quenlot, very close to the boarder at times, After approximately 250km of rough gravel roads during which we lost a tyre, due to either a puncture or side wall collapse, we hit tar seal again for the last run to Coihaique. After finding out Bed and Breakfast for the night and confirming the location of the local tyre agents, we walked across town to ‘Lonely Planets” recommendation for the best meat restaurant in town, Carnes Queulet, down a gravel driveway, not much to look at from the outside, but the steak and service was great. After finding a pair of tyres to suit the cruiser and having them fitted it was a late start with lots to see and possibly do. Our first stop was outside the small village of Villa Cerro Castillo to visit “cave of the hands”, this was also morning tea. Then it was onto Puerto Rio Tranquilo being the launch point from which boats leave to visit the Marble Caves. In our case not to be as the wind was up and we arrived very late in the afternoon. Continued our trip around Lago General Carrera passing through Chile Chico before arriving at our Hotel which was within site of the boarder control. A very long day with lots of scenery and great roads travelled. Up early, so that breakfast was over by 8.15, and we packed and drove the 500 odd metres to the Boarder Control. Paper work completed we headed into no mans land on a large loop to cross the river and the Argentina border control. Again the paper work was over with within the hour, so we set fourth heading for Estancia La Quinta our destination for the day, some 700km away. This is our longest day on the south bound leg of the trip. Marked on our map was another “Cave of Hands”, this site having World National Heritage status. The first sign we came to, indicated was off to our left, the map gave us the impression that the roads may join, so we headed on down the gravel road, for 5km to an estancia. At this point we learnt that the property conducted tours across it’s land to the valley rim, from which people walked down and up the other side to the viewing point. The guide indicated that we should go back to the main road and take the next turning which would take us directly to the ticket area and park guides. An hour later we dropped down the valley wall to a concrete car park and new ticket office with photographic display. Purchased tickets, along with being issued a hard hat, and after short safety brief, we then setoff along the track with our guide. The hand painting etc are on the cliff face along a canyon wall, and being the only non Spanish speakers in the group. The guide gave her talk in Spanish and then told us in English what was on the wall and its history. After two hours walking and looking we left the car park and headed south to Bajo Caracoles for a late lunch after which we headed on down the road to Estancia La Quinta arriving late. Breakfast was late as it had been a long day from Chile Chico the day before, After breakfast we headed into El Chalten to refuel as the orange light was on, collect a snack for a late morning tea, before heading up the valley to look at the lake in the head, along with the boat that takes walkers to the lake head. As we left El Chalten we sighted a Lavando Maori, which was a surpise, stopped and talked to the proprietor to discover that his grandfather was a Maori who came to Argintena in 1935 with a shipment of sheep and never left. It was a great drive on gravel to the end of the road at the lake and also the wharf for the boat. Took a few pic’s of the lake and mountains around before we headed back to look at the waterfall which was marked on the map. Stopped and had a late morning tea, before the short walk to the waterfall. Only a small fall, but the first we had seen for some time, the exercise was needed. Then we headed down valley, through El Chaten which was on formed in 1988 as a hiking and climbing centre for the area, a modern village. Once on the tar seal again we headed for El Calafate, but had to stop at La Leona Road house for lunch, to take a few photos and read about the history of the area, alonmg with Butch Cassidy and the Sundance kid who once stayed at the hotel? after robbing the bank in Rio Gallegoes. Late breakfast as we planned on catching the 11am boat trip to Glaciar Perito Moreno which is in the Los Glaciares National Park. Leaving El Calafate at 9am for the 75km road trip to the point from which one can catch a boat to view the glacier, as it was tarseal all the way to the park boundary, where we had to pay a 100 paso toll per person to enter. Then a concrete road to the wharf area, arrived early to discover that the next trip was 11.30am not 100.0am. OK we wandered around, visited the ticket office and obtained an english brochure of what is on offer apart apart from the boat trip. The time pasted and our vessel a catamaran arrived, Greg and myself along with 100 other visitors boarded and the vessel left the wharf after a safety brief in Spanish. The trip to the glacier face does not take that long, but the views are great, once at the face the vessel held position while all looked at the wall of ice, max height around 55 metres. Also observed the small gap where the Ice had collapsed 15 days partially blocking the lake run off. The guide advised that the level had risen 2m after the tunnel collapse and was only just starting to go down. The vessel travelled the length of the face, and we could see the landing point for those who went on the glacier walking tours, along with a group at the ice edge. Once on land we proceeded to the road end, to a large car park, from which one can catch a free shuttle bus to the glacier viewing points. At the bus stop one can take a number of tracks to see the glacier face from different angles and also hear the noise as it moves and pieces break off. On the way back into El Calafate we stopped at the Muso Del Hielo Patagonia and Glaciarium. Its only 2 years old and has some great displays relating to Glaciers and Ice. No Photos inside but seen on their website, www.glaciarium.com. On leaving we found the day had gone, so after refuelling the cruiser, it was back to the hotel and dinner. Left town heading south to the boarder crossing into Chile, at Cancha Carrera, arriving at 11am to leave Argentina and arrive at the Chile crossing just before midday. Through the boarder control and our first stop was 75metres beyond for lunch at the pub just inside Argentina. After lunch it was all concrete road till we turned off for the 8 km trip to the Monumento Natural Cueva Del Milodon, It is the site where skin from a Milodon was found in 1895. The area also has great archaeological value as it housed primitive Patagonian man who lived between 12,000 and 9,000 years ago. We walked to the Cueva Grande the cave in which the Milodon skin was found, The cave is 656ft deep, 98ft high and 262ft wide..
Up for breakfast at 7.15 and hitting the road at 8.15am as we headed for Parque Nacional TORRES DEL PAINE, which has within it the Glaciar Grey along with some smaller glaciers and lots of high rugged mountains. Our first stop was to overlook the Villa Serrano complex and valley which is just outside the park, before heading down to the Ranger station to fill-in an entry form and pay a fee of 18,000 Pasco’s per person. We then took the turning to Lago Grey, visiting the sand bar from which boat leaves for the trip to the Glaciar Grey. This involved a walk across a suspension bridge over the Rio Pingo and then over a small tree covered spur to reach the shore of Lago Grey. The glacier was not visible but the Icebergs siting in the outlet, stood out for both size and colour, the park is filled with walking tracks both short and long, a great tramping area. We continued back to the main road and up to Pehoe campsite and restaurant, arriving in time for lunch. The building has great views looking at Glacier de Frances on the left and Torre Sur in the clouds. Aftter lunch we continued our drive through the park, seeing guanacos, huemules and Greg spotted two Condors a long way off. Leaving Puerto Natales around 8.30am after refuelling, down along the water front and then following the signs for Punta Arenas some 245km away. 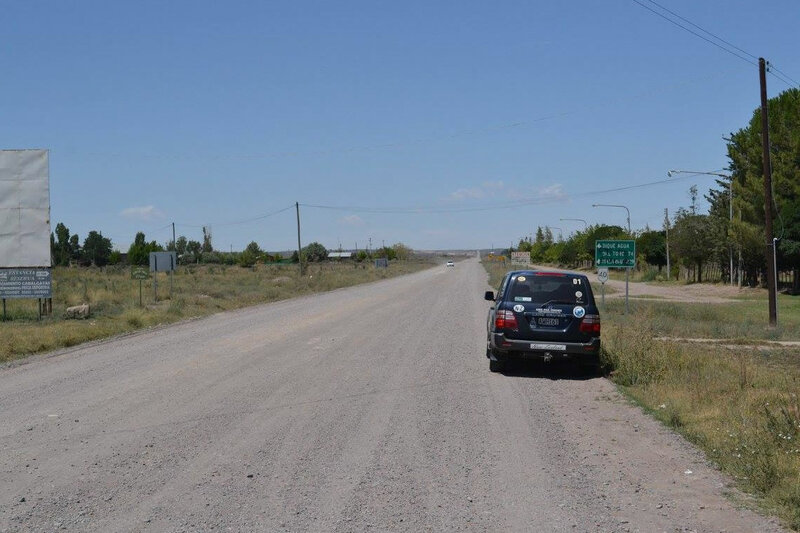 This road is very close to the boarder, how close we found as we passed the first border control into Argentina. Turn left and stop, it was only a car length from the road we are travelling on. It was a pleasant drive, wide open spaces and around 10am we stopped for coffee and a break at a small roadside café. Then on again to stop further down the road, a flock of condors ( 7 plus) gliding in the wind 2 to 3 hundred metres from the road. Stopping at Estancia Rio Verde, which looked to be a likely spot for lunch. 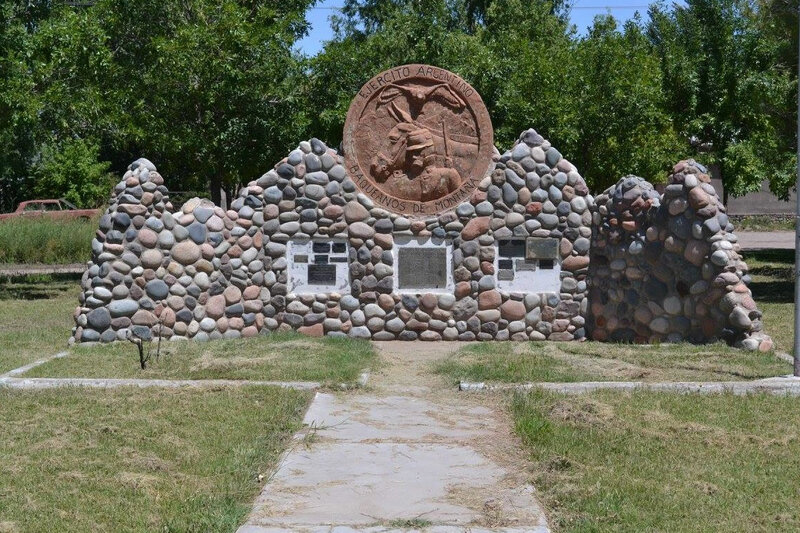 Not to be the government has closed the museum which is on the property, and due to current visitor numbers, the accommodation is only available if pre booked. Had a look around with the owner, a very nice spot on the shores of Seno Skying. We then headed around the shoreline till the turnoff to the penguin colony at Seno Otway This was to be our lunch spot, before we took a walk to look for Penguins. Once the cobwebs had been removed by the strong and cold wind and having seen a few penquins, we headed back, stopping on the way at the Southern most car museum, Museo Autos Clasicos Mina Rica. Concluding our visit, we headed into Punta Arenas to found our hotel for the night and also confirm that the ferry was not sailing in the morning. Day 17. Ushuaia, the Southern most city in the South America’s, the day was clear and cool so the first stop was the information centre, to obtain information re local trips along with hotel details for the future. 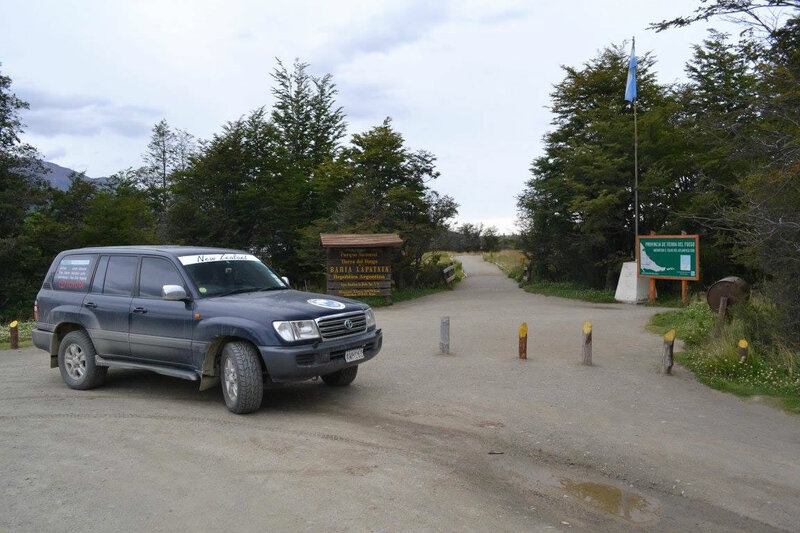 We then drove to Tierra del Fuego National Park and the end of Ruta No3, being the furthest south one can drive. Took photo,s of the sign board and also the cruiser parked in front of the signs. Then drove back up the road to Roca Lake, to see the scenery and take a few photos before stopping at the campsite restaurant for lunch. It was pleasant area, so on the way out we stoped and went for a walk to an old beaver dam, which showed what happens when a beaver dam lets go and is no longer in use. Once out of the park we stopped at the End of the World Train. This is a narrow gauge railway, both steam and diesel, which runs along a section of track back into the park. 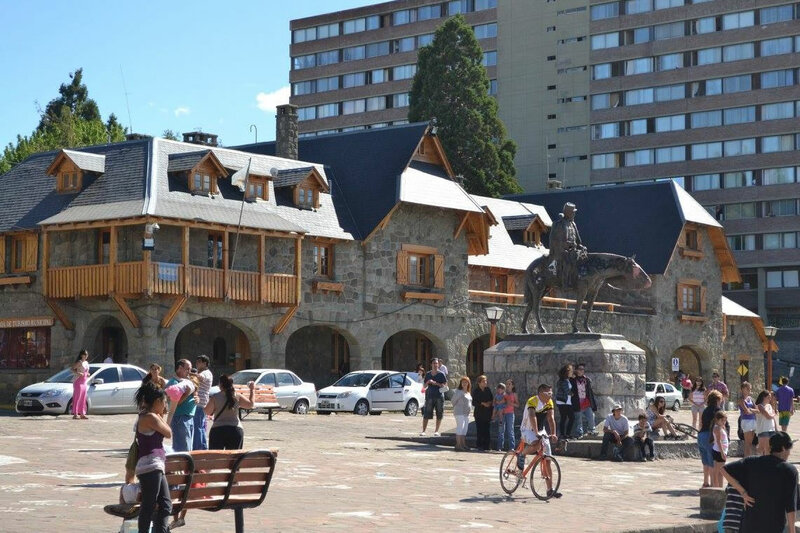 Its part of the history of Ushuaia, which was built as a penal colony in the late 19th century. With the train track / train being used to bring the prisoners out to cut wood and construct the track etc, winter and summer.. It was a great little trip up the track and back showing a different side to the park. Day 18, Return to Santiago. 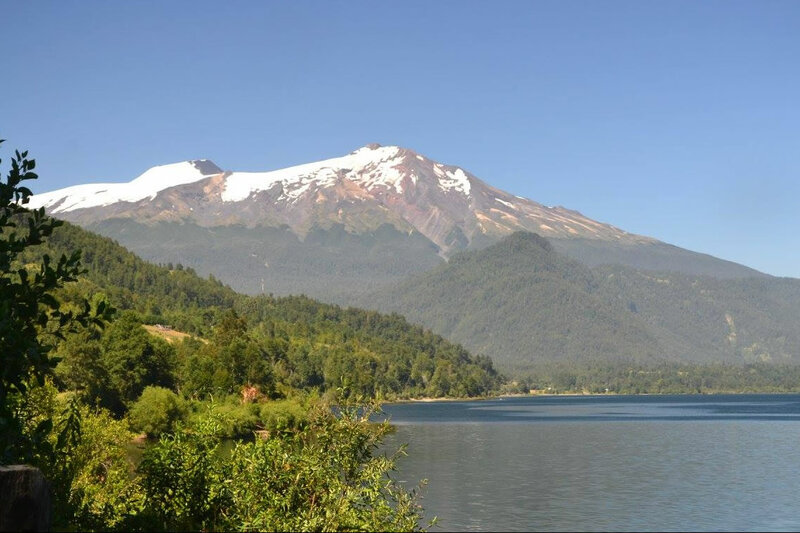 As time was against us the trip back to Santiago, was one of travel for the five days involved, long days with only one boarder crossing back into Chile via a pass which had been closed late last year due to volcanic ash from the local volcano, which exploded just before Christmas. The ash was piled high on both sides of the road amongst the trees. Lots of very nice country side and great road once on the motorway system, on our arrival back in Santiago we used the same holiday as earlier in the year. The vehicles where both cleaned, washed and repacked, before the trip to the freight forwarders depot on the Friday. Travelled by bus back to the Hotel to clean-up and collect our bags, before the taxi ride to the Airport and our plane ride to New Zealand. Arriving back in New Zealand after 54 days away and some 16000km travelled over the period. South America, Chile and Argentina great countries to travel in and drive, fantastic places to visit and activities to do, well worth the visit….Do it again !YES.